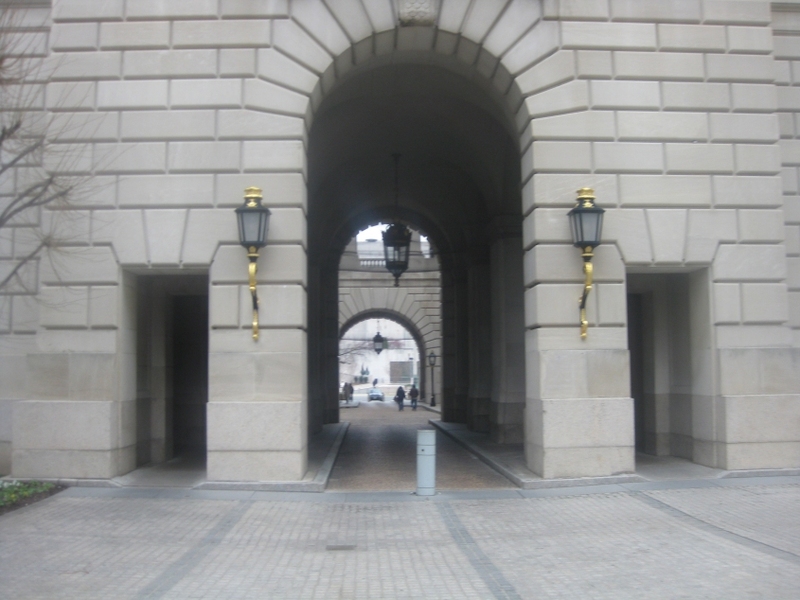 The Andrew W. Mellon Auditorium is serviced by the Federal Triangle station for Washington's Metro system. 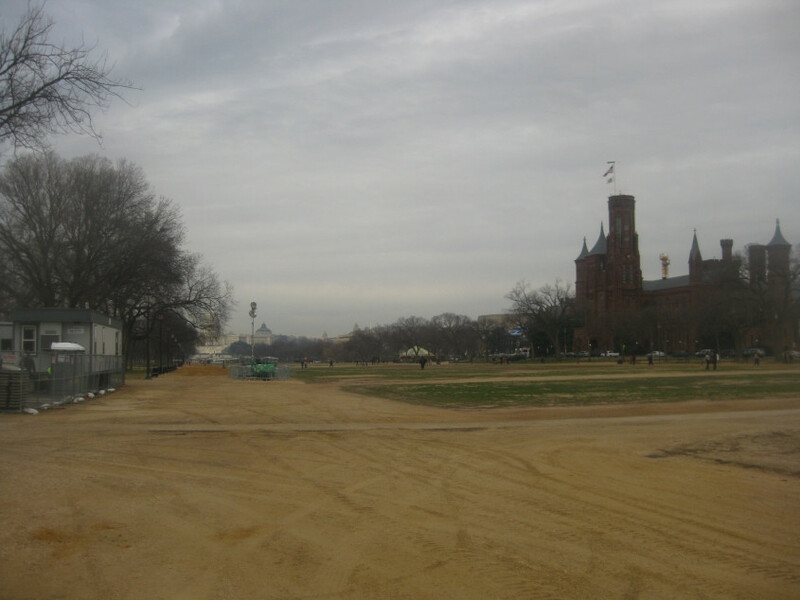 You can see here that it has walkways going through the building. Nifty! A Beltway trio: The first of this trio is on a ramp from Van Dorn Street near Alexandria to the westbound Beltway. Note the unusual gate (for an unusual interchange). 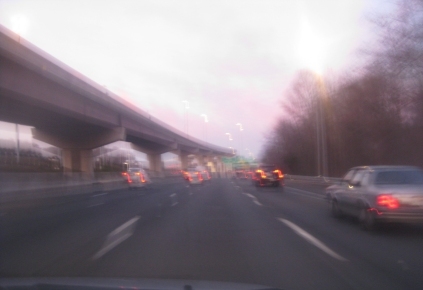 Next, we're on the Beltway - I-95/495. 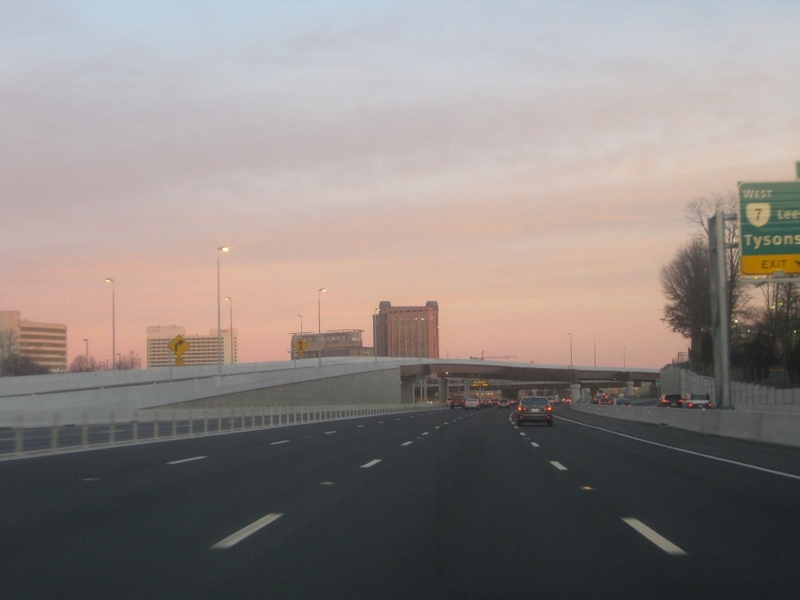 Finally, the Beltway loses I-95 at the same exit that births I-395. This is one of the most complicated interchanges anywhere. 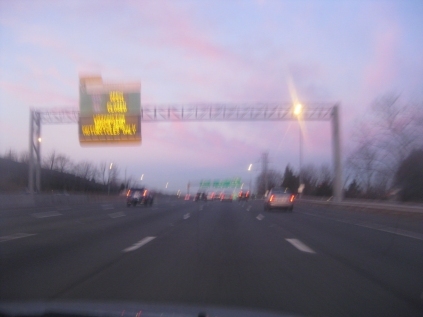 The Beltway approaching VA 7 near Tysons Corner - an unincorporated area with a buildup of skyscrapers. This exit is as complex as many of the others in the region. 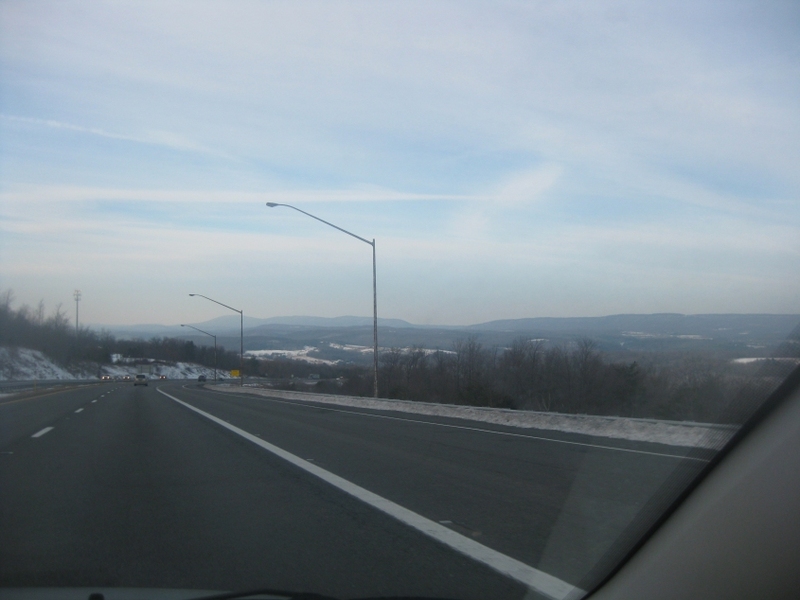 In this video, the Beltway crosses the Potomac River into Maryland. Just inside Virginia, we pass the north end of George Washington Memorial Parkway. 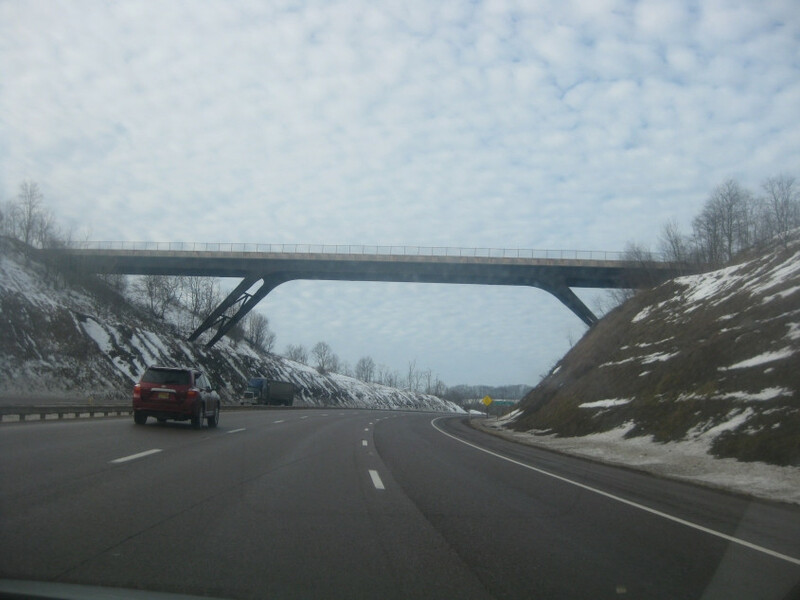 The bridge to Maryland opened in 1963. 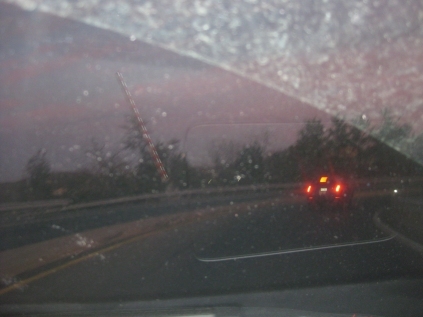 Northwest on I-270 in Gaithersburg, MD. 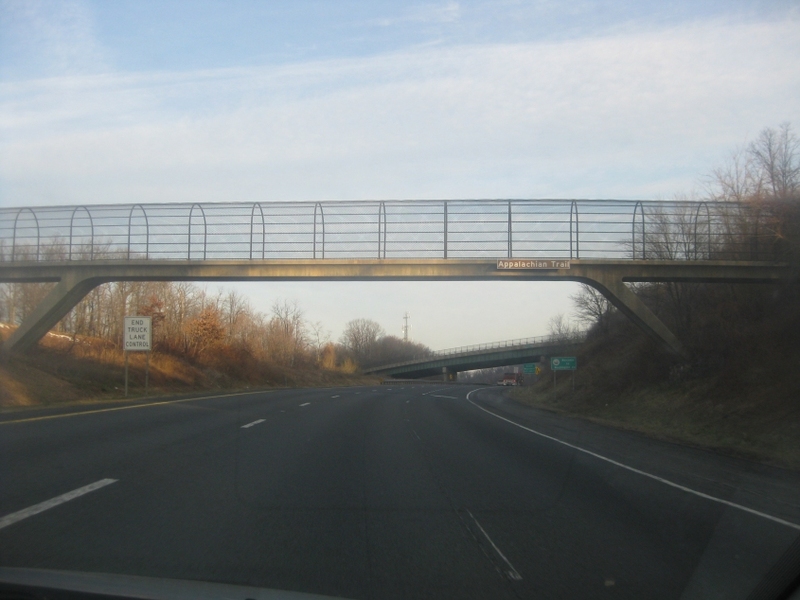 We're approaching the I-370 spur that in turn feeds into MD 200 - a toll freeway that when completed will run for miles across DC's northern suburbs. 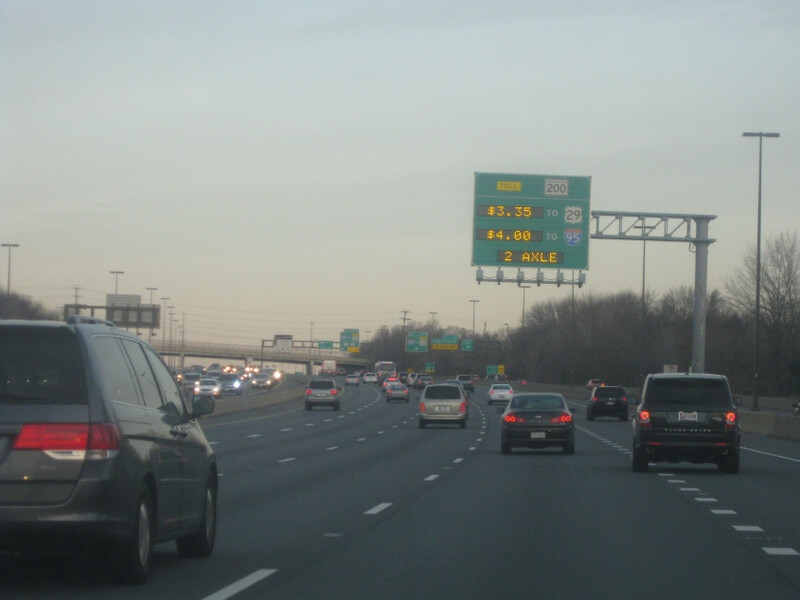 MD 200 was originally proposed decades earlier as part of a complete loop that would have been further out from the existing Beltway. 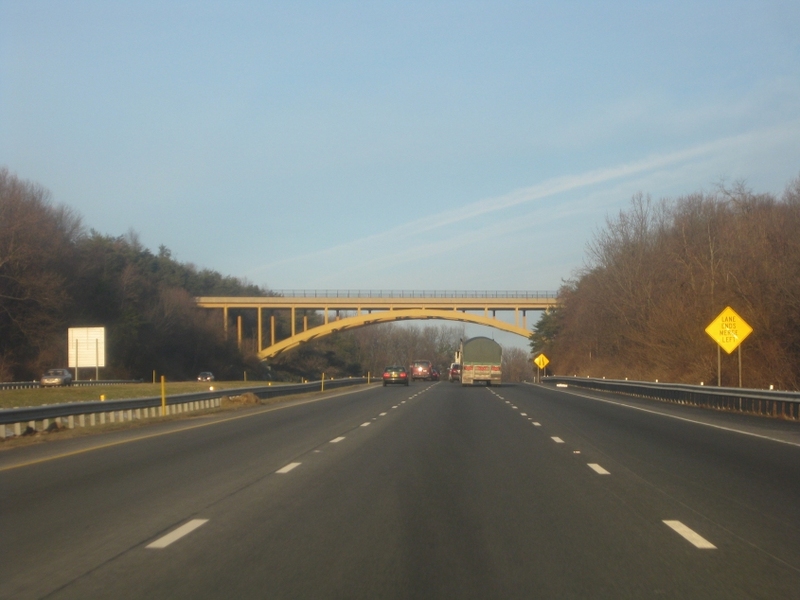 MD 200 is of questionable use, and has been staunchly opposed by environmentalists and other area residents. To alleviate these concerns, highway officials promised a bike path along MD 200 - but they later abandoned most of this plan. 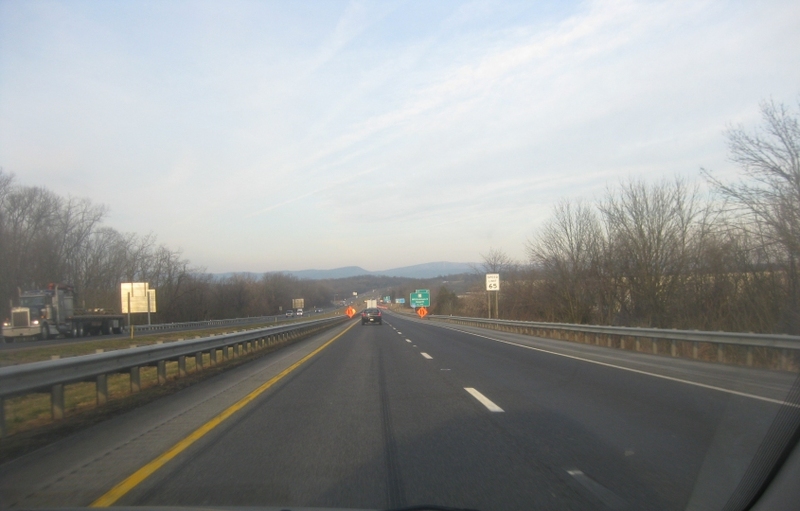 I-70 goes under the Appalachian Trail between Frederick and Hagerstown. 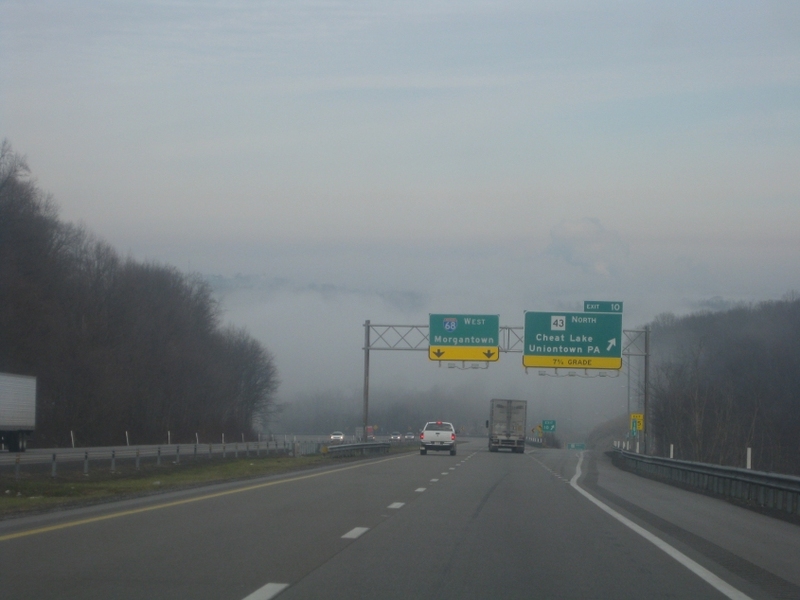 Probably the famed I-68, just after getting on at its eastern end. 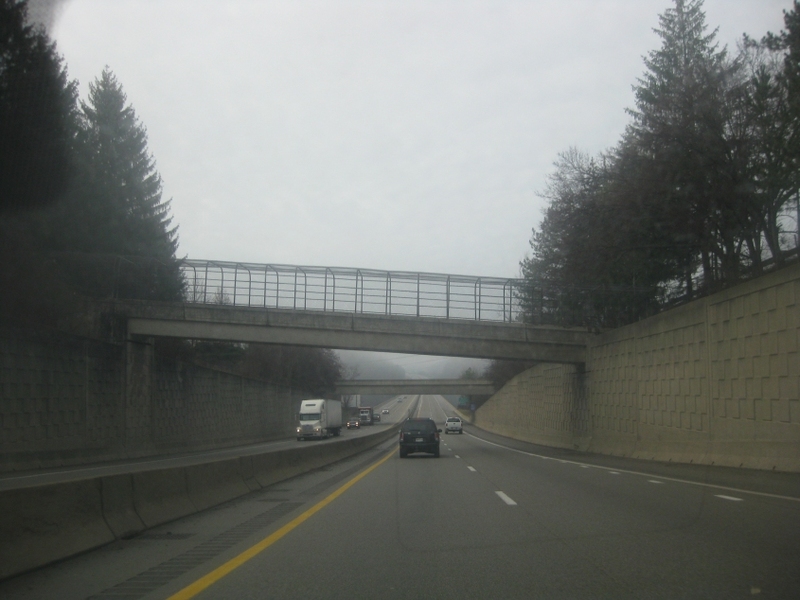 When I-68 (originally US 48) was built, I bet Pennsylvania was so mad about lost Pennsylvania Turnpike revenue that it just about bipped. Further on what I believe to be I-68. When you're in Flintstone, you'll have a yabba-dabba-doo time, a dabba-doo time, you'll have a happy old time! This is I-68 near Flintstone, MD. 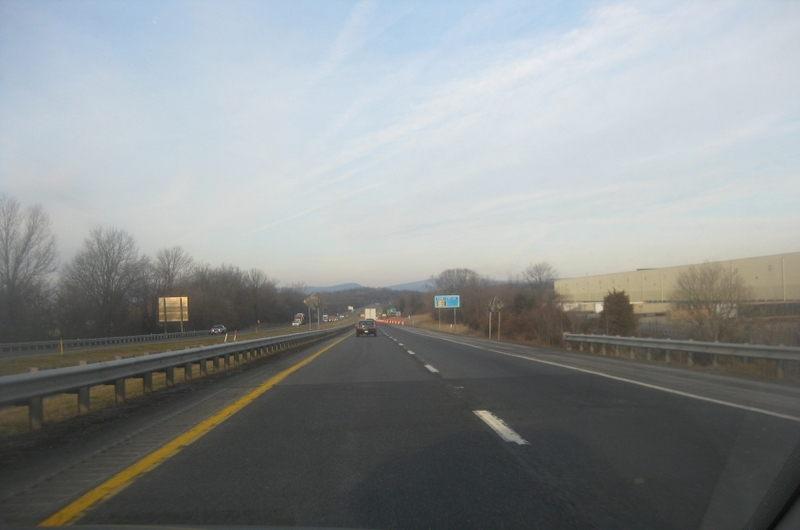 MD 144 uses the legendary National Road that once held US 40. US 40 has been rerouted onto I-68 here. 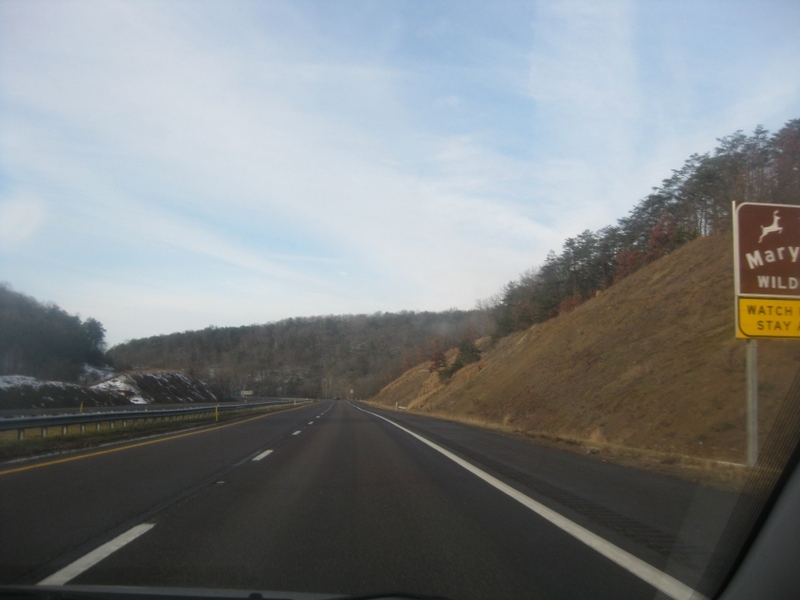 We revisit I-68 through Cumberland, MD - and this time we have a video! This stretch is famous for being one of few places where an Interstate runs through the downtown of a central city this small. 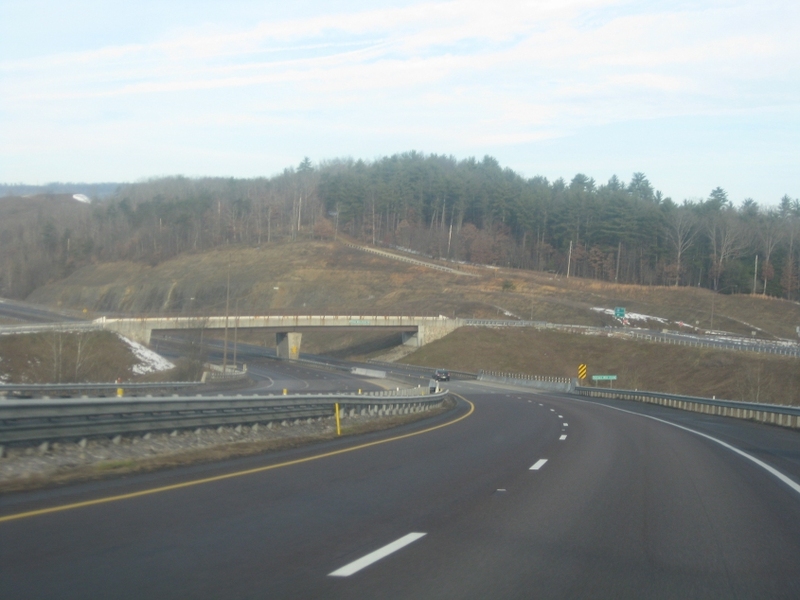 A sign on I-68 warns the tired motorist of Maryland wildlife. I-68 goes under Blooming Rose Road near Friendsville, MD. 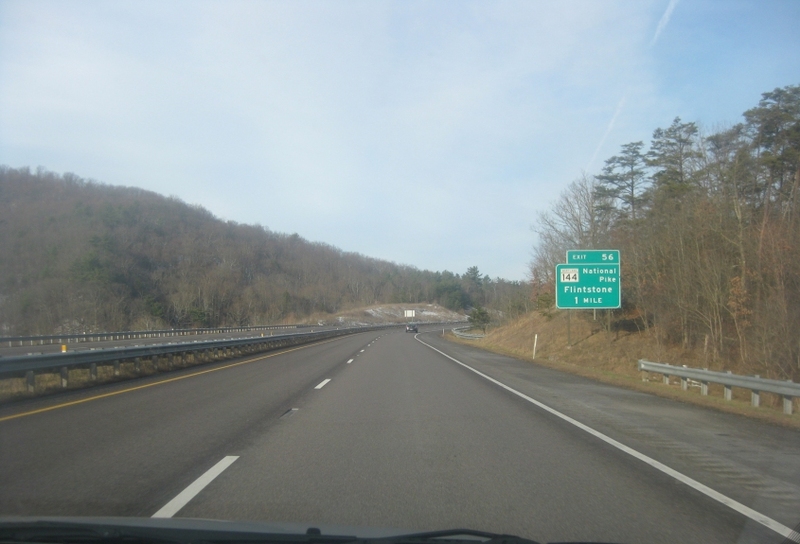 A video in which I-68 enters West Virginia - a state that lately has begun to defeat its own reason for being. It's like if The Last Word did nothing except republish Investor's Business Daily articles. "YOU CHEATED!!!" Ever meet somebody who always accuses rivals of cheating? Well, they'd love the name of this town: Cheat Lake, WV. Wikipedia says it's a rich suburb of Morgantown. 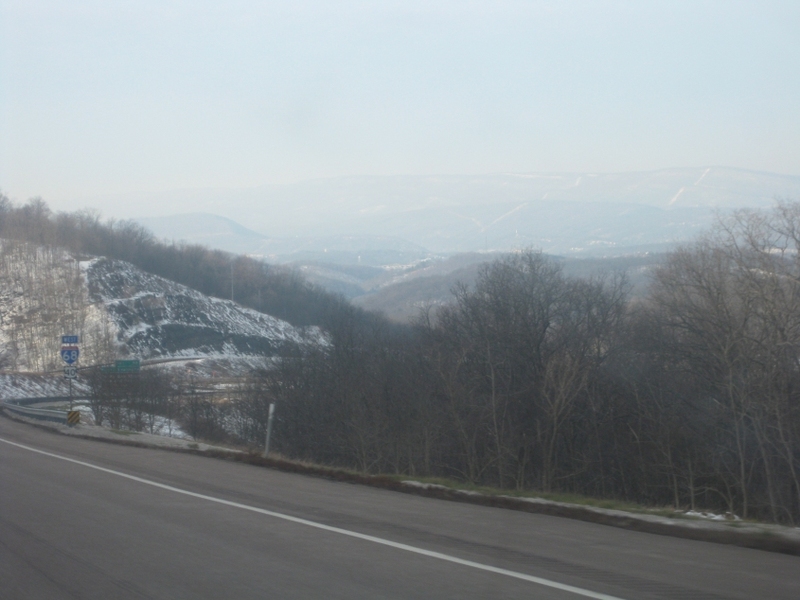 This view is of I-68. 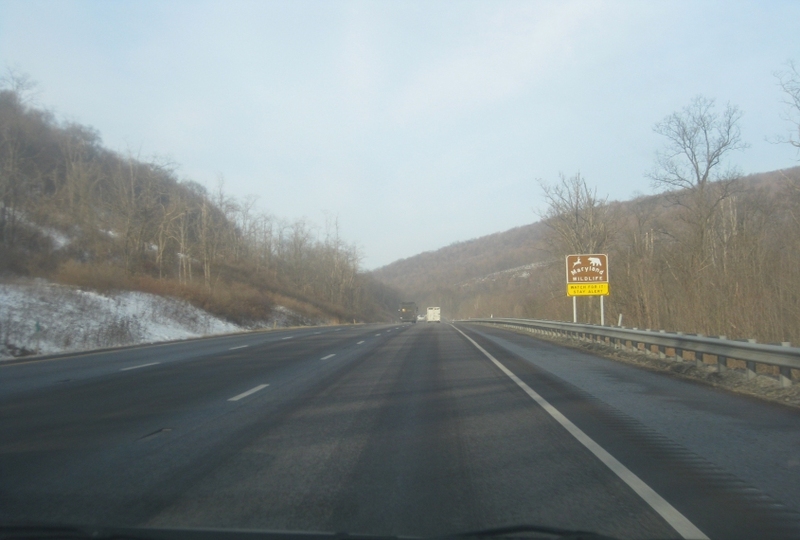 WV 43 is the Mon-Fayette Expressway - a mostly toll freeway that runs to Pittsburgh's south suburbs. Look what's up ahead: fog! 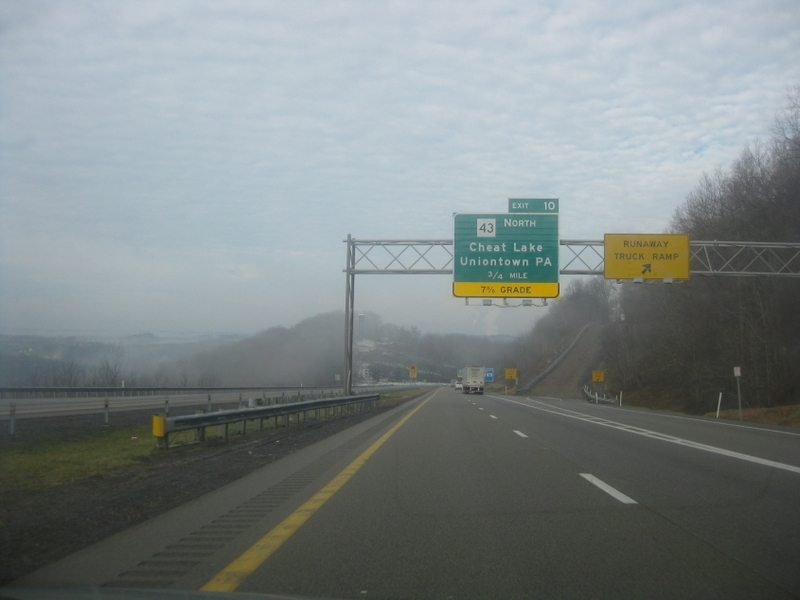 A sunken stretch of I-68 in Cheat Lake. The first overpass is a walkway that's part of Lakeview Golf Resort. Oddly, the path goes under Cheat Road, then over I-68. The second overpass is a road that is apparently also part of the resort.